Being a priest is likened to being a shepherd. People do, from time to time, need a poke here or a prod there. But mostly, they need to know someone is watching out for them. Rev. William Billow has been that gentle guiding hand for multiple communities across the nation, but he is best known for his services in Washington, DC, from St. Albans School to Washington Cathedral. He practices “the ministry of presence,” witnessing and overseeing the baptisms, weddings, and funerals of the members of his flocks. As he moves from community to community, his story does not fail to enlighten and inspire. The Rev. Will Billow received his BA in 1975 from the University of Washington, and his MDiv in 1979 from Virginia Theological Seminary. 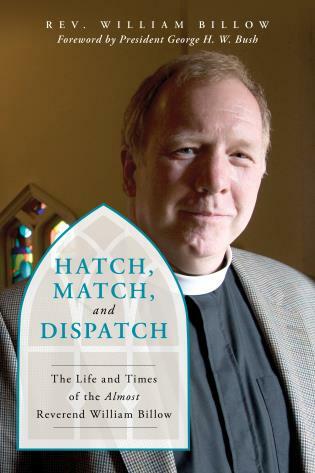 An ordained Episcopal Priest, he has served in parishes in Illinois, Maryland, Maine, and Washington, D.C. before becoming Chaplain and Chair of the Religion Department at St. Albans School, The National Cathedral School for Boys. Now retired, he criss-crosses the world officiating at weddings, baptisms and funerals for his former parishioners, students, and their families. Will grew up in Inverness, IL.